“Two weeks ago today I got dressed for work and left my house as normal. I got into my car, put the local radio on to check the travel updates (I always get caught in traffic on the way, since they started roadworks in my area) and headed for the office. Ten minutes into my 30 minute drive, I turned around and headed for this cliff. I don’t know what made me drive there, but it was like I was on automatic pilot. I’ve suffered from depression on and off all my life. I’ve managed it although it’s never really left me. I have tried to trace back to where it began, but I feel as though it’s always been with me since I was a boy. I sat in my car looking out at the sea, thinking how peaceful but also how terrifying it looked at the same time. I got out of my car and locked it, fully believing I wouldn’t be getting back in. 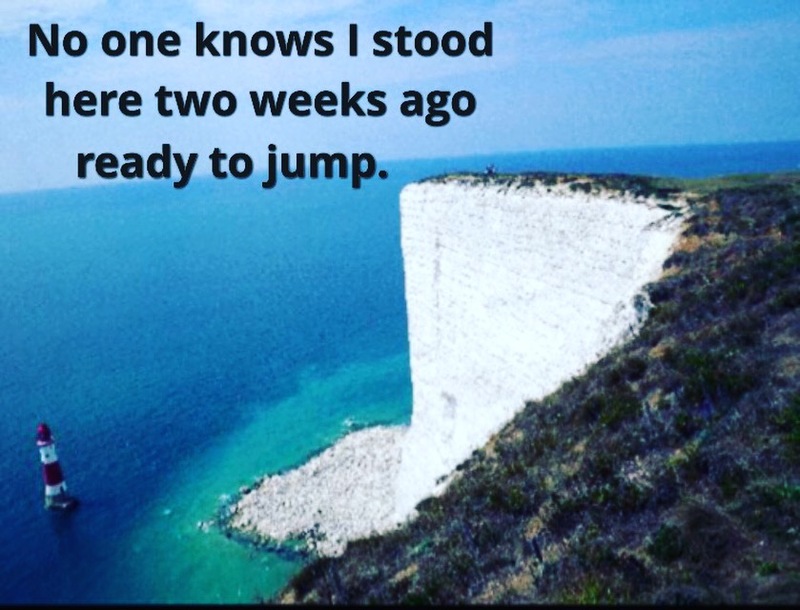 I walked nearer to the edge of the cliff, but I didn’t feel anything. Not scared, not angry, not sad, not anything. I think maybe an hour passed as I sat and stood and sat and stood again, and then I looked out as far as I could see and I just picked up my keys and walked back to my car. I got in it and drove to work as if nothing had happened. I have no idea what made me get back in my car and not jump off the edge of that cliff, but I’m glad I didn’t. That night when I got home I called a helpline and told the person what had happened. The relief I got from just talking about it and someone listening was huge. I’ve since got in contact with some support groups that were suggested to me and realised that so many other guys have had similar experiences.